Fitted with hat shelf, coat hanger and complete with a hasp lock. Offers additional storage on top with ventilation at the top and bottom of doors. 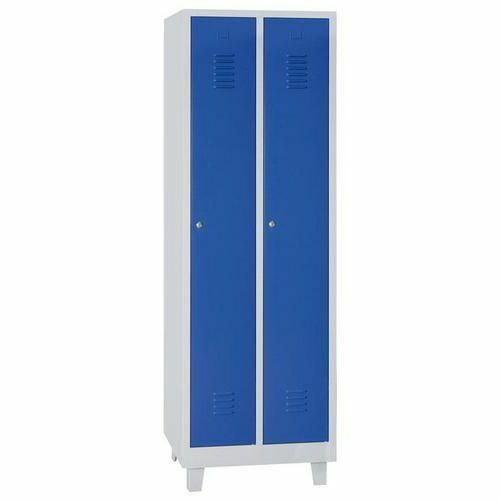 Lockers provided with label holders and available in a choice of colours. Flat top nest of 2 lockers mounted on feet perfect for cleaning underneath.